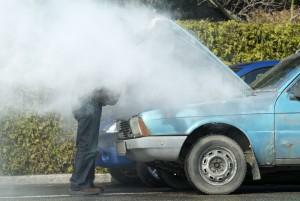 There comes a time when you know the cost of repairs well outweighs the value of your car. It has simply taken too much money to repair it to this point, and you will go no further in paying for repairs. You wonder how you will get anything for a vehicle that is worth less than its repair costs. That is where Cash for Cars Northwest comes in. We offer you same-day cash for cars in Sherwood, OR and the surrounding area. You will get the most for your vehicle, no matter what condition it is in. What are the benefits of using a cash for cars service? Free Towing – If your car doesn’t come to us, we come to you—for free! We are all about your convenience. You call, we offer a quote, and we come take the vehicle when it is a good time for you. No DMV Paperwork – We handle the title transfer and process all the DMV paperwork for you. Not having to stand in line at the DMV is reason enough to call us! Any Vehicle – We take individual or commercial vehicles, of any age, and of any make or model. We will not turn down your vehicle due to condition. Even if it doesn’t drive, we will take it and pay you cash. Convenient hours, 7-days a Week – We are open 8am to 8pm every day of the week for your convenience. Simplicity – You call us and get an honest, upfront quote. If you decide to use our services—and feel free to call around, we encourage you to—we will come to you, have you sign some paperwork, hand you cash, and take your car. That’s is all you have to do. Pure simplicity. Going through the motions of listing a used car for sale, showing it to multiple people, and then dealing with haggling, title transfers, and a trustworthy money exchange is a major hassle. Calling us for your cash for cars solution in Sherwood. One call and you are only an hour or so away from having cash in hand and your junk vehicle taken off your shoulders. If you have had a car sitting around for a while, you know it can start to leak, become a haven for rodents and insects, not to mention being an eyesore. Sell your car for cash and get paid to take care of the problem. 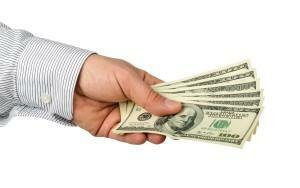 We offer cash for any type of pre-owned vehicle in the Sherwood area. Don’t let your used car take up any more space in your garage or on the street. Get rid of it before it turns into fines from the city of Sherwood. We are your one-call solution! Contact us today and let us get you same-day cash for cars in Sherwood, OR.